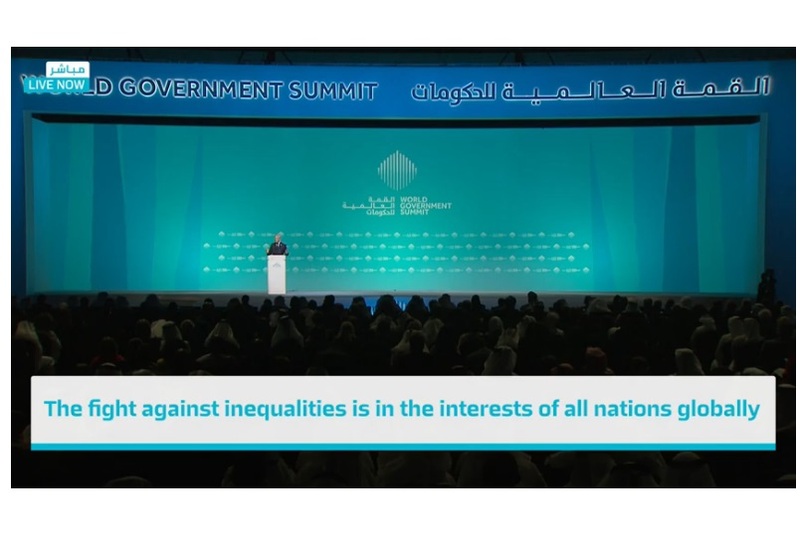 Dubai: A set of "Global Goals" to solve problems in key sectors such as housing, education and health was announced at the World Government Summit 2019 in Dubai on Sunday. Omar Bin Sultan Al Olama, Minister of State for Artificial Intelligence, made the announcement at a press conference at the summit. He said the initiative follows an idea of Shaikh Hamdan Bin Mohammad Bin Rashid Al Maktoum, Crown Prince of Dubai and Chairman of Dubai Executive Council, to ensure “these outcomes actually happen” from important meetings. Ankur Jain, CEO of Kairos, a fund that invests in companies to tackle “the world’s greatest challenges”, said Global Goals will focus on six issues that the private sector can help solve for governments. Those issues are housing, education, healthcare, personal debt, jobs that “will exist for the future”, and people’s access to sustainable energy. Al Olama said, following Shaikh Hamdan’s idea: “We partnered with Kairos and we invited 50 thought leaders, pioneers, celebrities, to come together and help us identify what are the challenges that are not being addressed globally, and what are the some of the entrepreneurial solutions that we can find”. Jain said those challenges for Global Goals will be solved by 2025. He added that the invited leaders will explore how the private sector can “accelerate solutions to these problems because no single government can solve this for the world”.